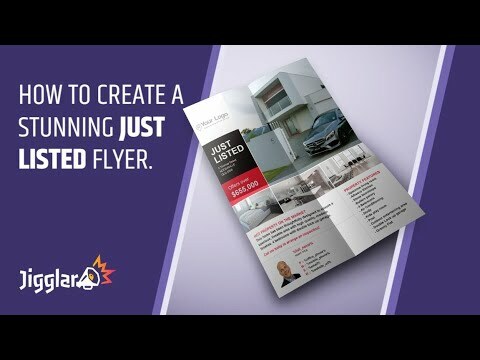 Just Listed flyers work because it’s social proof your are a trusted professional in your area. A Just Listed flyer sends a signal to other sellers that YOU have been chosen by another property seller to deliver a real estate solution… and let’s not forget who a new listing often flushes out sellers in the area. MARKET LIKE A PRO WITH REAL ESTATE’S NUMBER 1 DESIGN TOOL TO WIN MORE LISTINGS & MAKE MORE SALES With Jigglar you can create mailout flyers, postcard mailers, social media images, business cards and much more in a flash.